Metal stamping has the tool and die manufacturing as the heart and soul. Tool and die are crucial when it comes to cut and shape the metal according to the specific needs. In all the projects, the usual idea is to design a tool for every item accordingly. 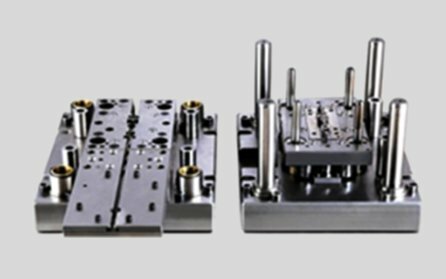 There is a wide range of production that is possible with the appropriate progressive tooling and die manufacturing, and it is possible to manufacture a small pin to the most complex metal mechanism. As the several industries these days are improving there is also an immense need when it comes to the tool and die manufacturing. Here is all that you need to know about the tool and die manufacturing. As the project comes in, one of the first things that the design team spends their time on is to carefully consider the client requirements. Well, this, of course, is one of the most important requirements because only then will the design team be able to ensure that the finest plans are made for a successful execution of the project. Further, the company spends time to consider the various angles in which the metal will be cut, the design, and also any other concerns that the clients may have about the manufacturing. The highly creative and technologically advanced team first analyzes the client requirements and then gives shape to the die. During the tool and die manufacturing process the team works very closely with the progressive tooling manufacturing team in order to come up with the precise tool and die. The experience in creative designing in metal stamping helps the team to come up with the perfect tool and die that the clients need. A lot of time is spent on making sure that the raw material is used in the best way so that the clients get most efficient results. As a result, the supplier makes the production economical and the client is able to get the right results in affordable range. Once progressive tooling is completed, it is not immediately sent to the production team. There are several tests that take place before, in order to ensure that the end result is perfect for manufacturing. This helps to further make any customizations that will affect in efficient production. Although, this process takes some time and work around it, but the end result is well worth the time, efforts and money spend here. After all the tests are successfully carried out, the final product is then sent to the production team. 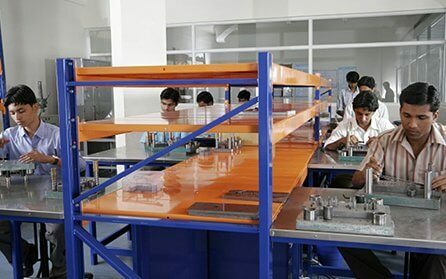 In reputed companies, there are stringent quality control measures that are implemented to make sure that everything is delivered according to the best standards. Quality control is one of the most important aspects when it comes to getting efficient results from metal stamping. Once the production team installs and starts working with the new tool, they are able to then identify areas that need any more changes. If changes are required, the in-house tool room takes immediate steps to provide smooth manufacturing results. From the inception to the implementation of progressive tooling, the most important thing is the team efforts. All the different teams involved in the manufacturing process work in sync and this is what results in the best product. A good team works hard not just to implement what the client requires, but also recommend ways in which the clients will benefit in the long term. One of the best ways to identify a good tool and die manufacturing unit is to make sure that you see the reputation of the manufacturing unit in the market. A good reputation is only possible if you make sure that the clients are kept happy at all times. Well, when you realize that the manufacturing unit or supplier has a good reputation with the past and current clients; it is a good sign moving ahead. On the other hand, you need to also look at the technology being used by the supplier because this will give you an idea of whether or not the top standards are maintained. Eigen has been in this industry from the last 12+ years and has ensured to provide the best to clients in all verticals. The teams working in different sections are experienced and always think of ways to exceed the service standards. There is a strong quality control team as well, to ensure that nothing goes out to delivery without the proper standards being implemented. As a result, once a project is given to Eigen, the clients can rest assured of the efficient work.